Put me in coach! 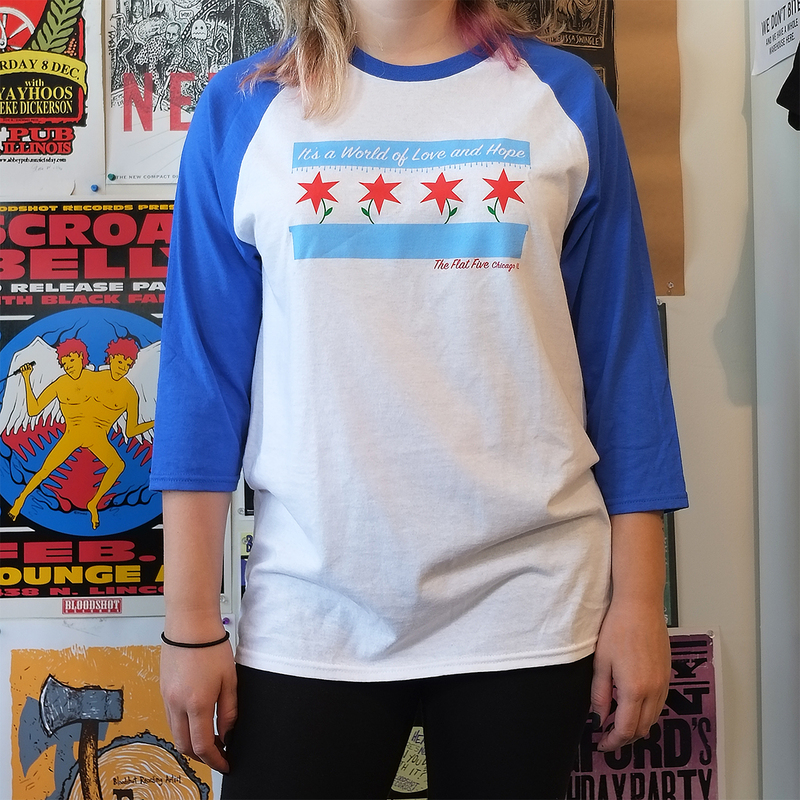 Take the field in a Flat Five baseball jersey, sporting the title of their debut record It's a World of Love and Hope, with a Chicago flag (we're just as proud of our flag as we are of our baseball). 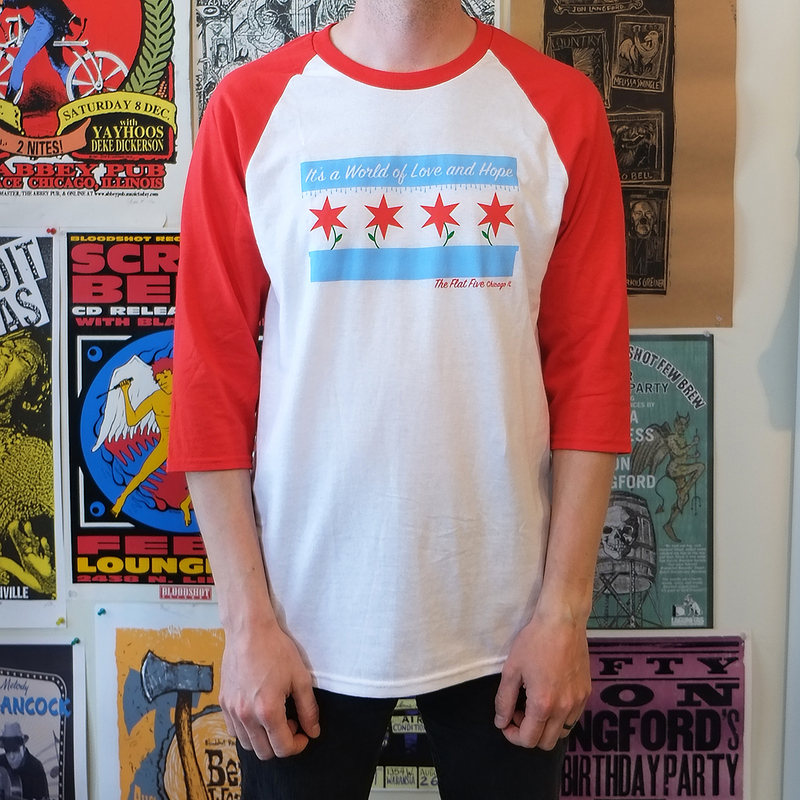 100% cotton in Red or Blue 3/4 sleeve. 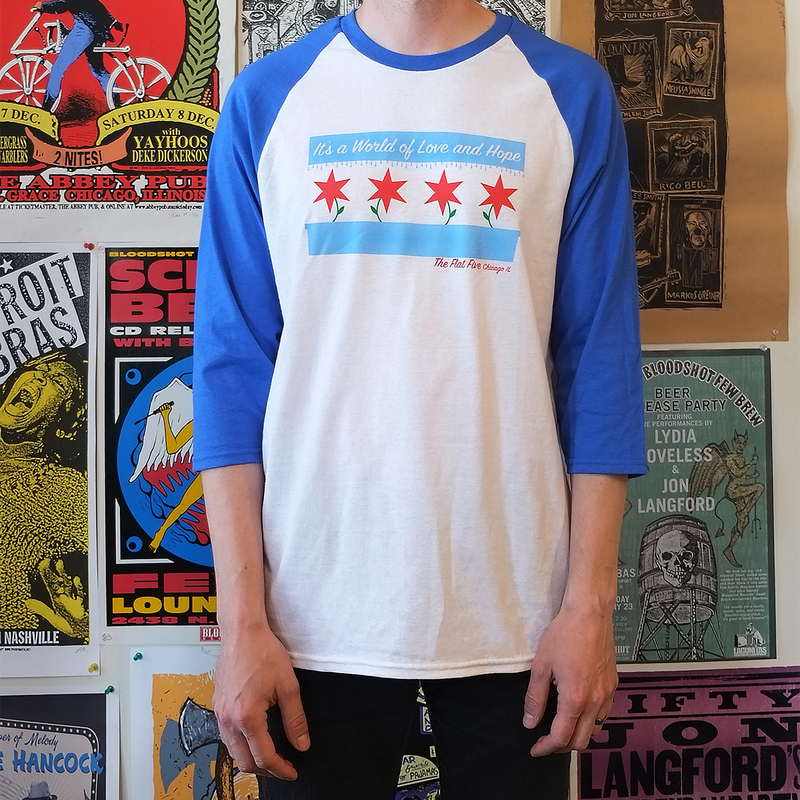 With a Chi-town proud design executed by Sheila Sachs and Kelly Hogan herself.